CDO Forums - Experiences with MOM Miniaturas? CDO Forums > Hobby > Modeling Ideas and Advice > Experiences with MOM Miniaturas? Full Version: Experiences with MOM Miniaturas? 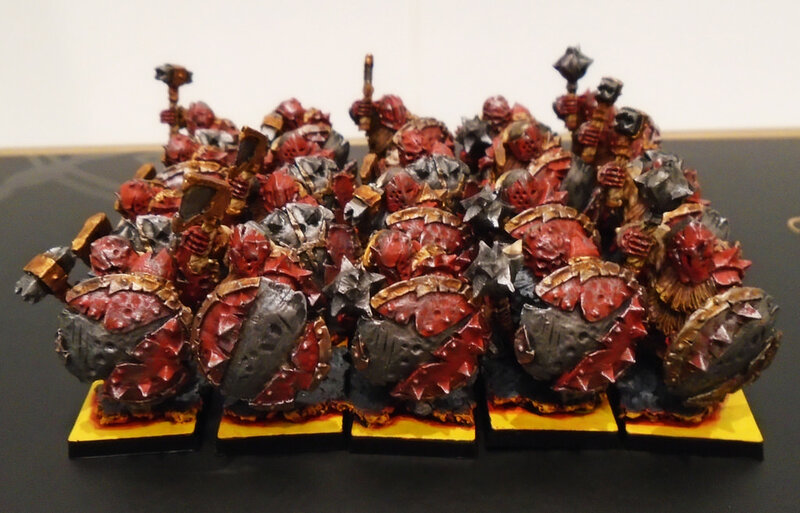 I recently stumbled upon MOM Miniaturas, who has some pretty cool Chaos Dwarfs and Dwarf models that could be converted into Chaos Dwarfs. However, it seems like the cast is pretty poor quality. Does anyone have experience with their miniatures? All orders arrived in a relatively good time-frame, with some freebies thrown in. Quality of resin is really good. it is hard and does not break very easily. Casting is really good. Very little bubbles in some models though, nothing that can not be fixed. Overall I highly recommend MOM miniaturas and i am sure you will not regret it and you will keep going back for more. Nice range! I like the stone golems - a bit cartoonish, but still pretty cool. The standard with the severed dwarf heads looks super grim as well. I have also bought from MOM-Miniatures, although 1 or 2 years ago. The quality of the dwarfs was o.k., because there were more bits, everything was good. With the statues and columns there was nothing to complain about. I've only bought the one unit from them but for the price I can't really complain. They had a hell of a lot of flash to clean up, some of the weapon handles were a bit warped, some air bubbles around the feet and weapons, but once they are painted up they look perfectly fine. Can't remember how long they took to arrive or anything, it was several years ago.